->	Exude a classy look during the winters and make an ultimate style statement in this peak lapel overcoat. ->	Centre vent at the back prevents unnecessary creasing and eases your movement. 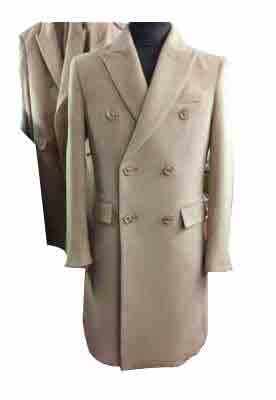 ->	Meticulously cut and crafted from high-quality wool material this overcoat is elegant and classy.